As a budgeting parent with 2 techno savvy kids, when I heard this story the other night I felt I just had to share it. I have two little boys, one of which is obsessed with mobile gaming even though he’s only 3! We do our best to limit the amount of time he spends playing on the phone but he is quite sneaky at times and we often find him hiding in a corner somewhere playing a game on the phone. Due to his sneakiness there have been times in the past when we’ve noticed a slight jump in our mobile phone bill. When we’ve looked into the reasons why, we discovered that not only has he learnt how to play the games but he’s also worked out how to buy and download premium apps or games through the marketplace and has even been using up our free data allowance watching cartoon videos and game tutorials on YouTube! Although we may have had to deal with a slight one off increase to our mobile phone bill, our bill in no way compares to the one that this local 6 year old girl managed to rack up whilst playing a supposedly ‘free’ game on her parents iPad. This little girl managed to land her parents with a £900 iTunes bill after spending just 30 minutes on a ‘My Little Pony’ iPad game that her parents believed to be free of charge. How on earth can that happen? Well, what the parents didn’t know is that their little girl was able to buy so called ‘Virtual Gems’ within the game to increase her performance. Not only were these extra purchases easily available but she also didn’t even need to enter an iTunes password to buy them. These virtual gems were available at a cost of £69.99 per gem and this allowed the girl to run up a £900 bill in just over 30 minutes of gaming! Needless to say the parents were beside themselves with worry and were fortunate enough to have an overdraft facility available with their bank, allowing them to pay the bill. Eventually after several complaints to iTunes the family did manage to get the money refunded but many others might not be so fortunate. 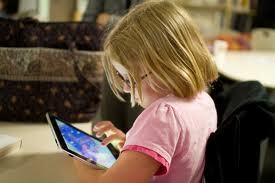 So if you’re going to let your child play on these free iPad or iPhone games, how can you protect yourself? Well the first thing that Apple says you should do is to alter your iTunes settings to prevent in app purchases. Another thing that we have personally done to stop our little boy running up a large data usage bill on our smartphone, is to switch off the data connection in the mobile network settings menu. This way the phone will only connect to the Internet if there’s a free Wi-Fi connection available. If there’s one thing I’ve learnt in my journey as a parent it’s to never underestimate my kids. They don’t just buy these games or in app purchases by accident, they know exactly what they’re doing. They just don’t understand yet why they shouldn’t be doing it. 8 Responses to 6 Year Old Girl runs up a £900 Bill on a ‘Free’ App! I had heard about this and it’s just crazy. It’s amazing what our 3 & 5 year olds can do. We turned off in app purchases on our iPad for this very reason. Yep, I’m a lot more careful now John. That would be a slap in the face. I don’t have an iPad, but I do have a tablet and it doesn’t allow in app purchases because I don’t want to get any large bill that is unexpected. I will heed this warning as my son grows up. I think we all will Grayson, the parents must have felt sick. WoW! I’m in shock but not really because it happens. If we had a kid we would certainly limit tele time but we don’t own any of those phones or Ipads etc but it can still happen on the internet. We already see the nieces and nephews cry for the internet and cell phones it’s insane. What happened to just going outside to play. I’m not a gamer type person, never will be. Thanks for sharing this eye opener. Shared on FB… to spread the word. My little one cries at times when he’s not allowed on the phone, he’s only a toddler so I’ll let him off. Thanks for sharing mate, hope your fans enjoy it.